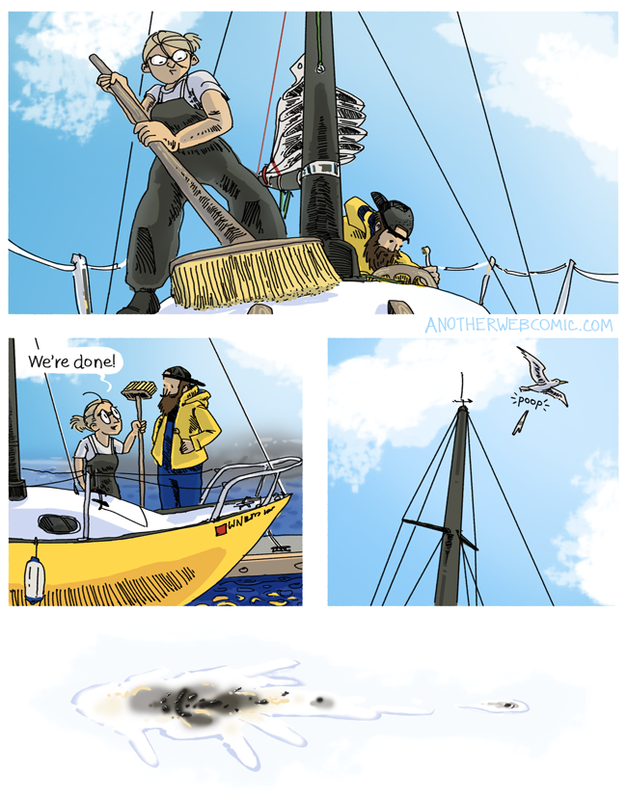 Every boat comes with chores. As a child I hated doing these chores, but now that I've grown up, they're kind of fun and offer a chance to reminisce. My parents are probably patting themselves on the back right now, happy that they're finally responsible for me willingly cleaning something. Washing a boat is kind of like vacuuming your house. Except instead of unsuccessfully warning people to stay off your freshly vacuumed floor, you're really unsuccessfully warning seagulls not to poop on your freshly cleaned deck. Really, to a seagull, every deck is a poop-deck.